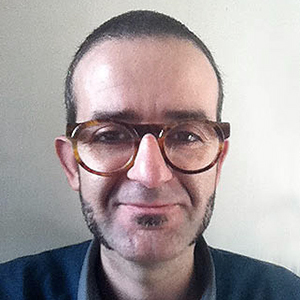 Rafael Pinilla Sánchez holds a PhD in Art History from the University of Barcelona; its main line of research focuses on the reorganization of work from the perspective of contemporary art practices and the integration of the political economy in art studies in general. He has won the Research Award of the Societat Econòmica Barcelonesa d’ Amics del Pais (SEBAP) and has published scientific articles, art criticism and reviews of modern and contemporary art in magazines, catalogs and online platforms. He is a member of the Research Group Art Globalization and Interculturality (AGI) of the Department of Art History at the University of Barcelona, member of the Art Research Network of the Faculty of Fine Arts at the Autonomous University of Queretaro, a member of the Academic Council of the Economy and Culture Forum at the Autonomous University of Mexico City, a member of the Academic Council and Editorial of the Collection La Fuente / Publications of Aesthetics and Art of the Autonomous University of Puebla and technical and planning Secretary of the Journal of Global Studies and Contemporary Art (REGAC). In addition to its assiduous participation in conferences, seminars and symposia, both national and international (Universitat de Barcelona, MACBA, Autonomous University of Madrid, MNCARS, Autonomous University of Mexico City, New York University), Pinilla has carried out tasks of teaching and artistic dissemination in academic, museum institutions and online training (University of Barcelona Arts Santa Monica, Documentary Photography Center, Multinational Workshop).